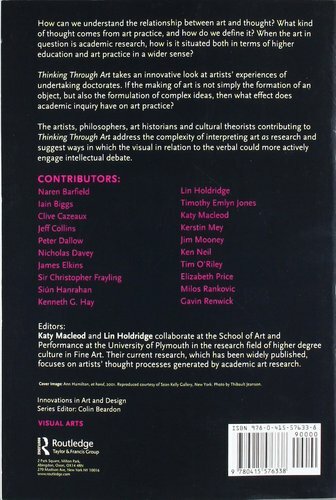 Editors, Macleod and Holdridge, had explored O’Riley’s contribution to the debate surrounding practice-based research in previous papers and subsequently asked that he contribute a chapter, distilling aspects of his PhD, to a new book, looking at the various processes at work in practice-based Doctorates. The editors’ introduction locates O’Riley’s work within the broader international context of art and design research practice. 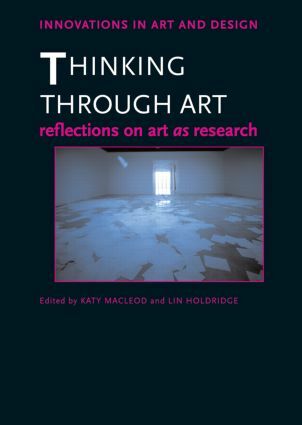 His research has consistently been preoccupied with the question of where exactly the significance of the artwork lies: in the object; its relation to its context and viewer; in the viewer’s involvement with the work, or somewhere else again? The chapter explores these relationships and the notion of spectatorship as a form of ‘construction’ through an analysis of mental, optical, perspectival, narrative and filmic spaces, and by reflecting on works from a variety of sources including a detailed analysis of Hitchcock’s 'Rear Window'. The proposition is that ‘the work itself’ exists most completely only in the space between artist, viewer and work (whether that be an image, object, situation, experience or performance).